You are here: Home / Misc Business Topics / It’s NOT The Economy, Stupid! We speak so often about “the economy,” as if it’s this latent beast lurking about that no one can influence or control. And that beast, according to many, unilaterally influences success and failure in myriad ways through all walks of life and industry. 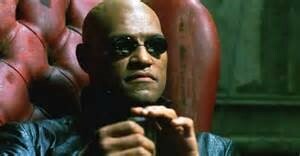 movie “Matrix.” It’s a backdrop for industry, a simple, somewhat undefined engine creating a lot of white noise. And sometimes, distractions. Money is plentiful. Banks have it, private equity folks have it, and even venture capitalists have it. Lots of it. If they aren’t investing, it isn’t because of a lack of financial resources. 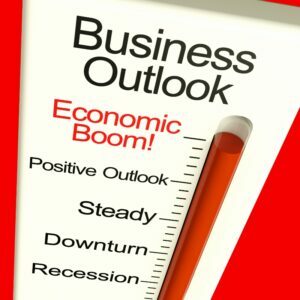 Earnings are up, the Dow is up, unemployment is down, annual reports read like boom-time in the good ol’ U.S. of A. Nearly every available economic indicator says “the economy” is doing pretty darned well. So, then, why are many still using “the economy” as a crutch for failure (or at least mediocre results)? Now THAT’S a good question. In my opinion, many use it simply becauseit’s the easiest, most available, fully-understandable excuse for lackluster performance (never waste a good crisis, eh?). Everyone continues to nod their head in reverence when discussing “the economy,” as if a demonstrated lack of respect would unleash the fury of “the economy” on their worlds. Which, of course, is simply more bunk.